Woodend Landcare September News: Celebrating wildflowers and much more! Our next Sunday working bee is on the 23rd of September from 9am till 12 pm in the Landcare protected wildflower zone on the railway reserve near the intersection of Quarry Rd and Washington Lane. This area is arguably one of the best examples of wildflowers within Woodend. Our Landcare group has erected signage at this site to minimise mowing to an access track. This will enable the numerous lillies, orchids, herbaceous perennials and grasses to thrive. We are also protecting the existing shrubs and emerging tree seedlings. Last Spring we had a successful working bee at this same location but there is still more to be done. Tasks include removing some non indigenous shrubs and lots of woody weed removal of predominantly broom. These weeds are threatening the existing indigenous vegetation. Please join us to lend a hand and learn about the biodiversity of this site and why incorrect mowing practices are such a threat. The site is accessible by parking in Peter Godden Drive or Washington Lane. Parking on the reserve will be limited to works vehicles only. Bring gloves, eye protection, suitable clothing and secateurs, loppers and pruning saws. Look for the Landcare blue trailer. Morning tea is provided. For further details contact woodendlandcare@gmail.com. Newcomers are most welcome. Explore the wonders of wildflowers in full bloom with a guided walk through the Woodend Grassland Reserve on Saturday 6 October from 2pm to 4pm. Renowned for its rich diversity of herbs, lilies and orchids, the Woodend Grassland Reserve is considered to be the most significant area of natural grassland vegetation in the region, boasting a number of rare species within it. Central Victorian botanist and ecologist Paul Foreman, who has over 20 years’ experience in land management and nature conservation, will lead the walk. Highlights likely to include Slender Sun Orchids, Flax Lilies, Parrot Peas, and the Nationally Endangered Matted-flax Lily. The Woodend Grassland Reserve is located next to Buffalo Stadium at 1 Forest Street, Woodend. This free event is a partnership between Council and Woodend Landcare and being held to coincide with National Biodiversity Month. For more information or to book, visit mrsc.vic.gov.au/environment-events or call 5421 9660. Woodend Primary Junior Landcare Biodiversity Grant Success! Congratulations to Woodend Landcarer and local parent Nicole Middleton and her team of budding young gardeners for their successful application for a Junior Landcare Biodiversity Grant. The $4700 grant will see the upgrade the Woodend Primary School Community Children’s Garden and establishment of a indigenous plant border. Bunnings and the Woodend Men’s Shed have already pitched in to make new raised garden beds pictured below. The new funds will cover supplies to improve the plant propagation area and an indigenous garden with educational plaques. Woodend Landcare will assist with ordering plants, equipment and the planting day in September 2019. Nicole runs a Kids Garden Club every Monday lunch time. The 40 keen students who attend have already helped prepare the indigenous garden with newspaper and wood chips. They’re excited by the fact that they’re creating habitat for wildlife. As a result of recent successful funding the Upper Campaspe Landcare Network (UCLN) is embarking upon a one year project to map platypus distribution on the Upper Campaspe Catchment on the Campaspe and Coliban Rivers in conjunction with the Australian Platypus Conservancy. The project will be launched on the banks of the Campaspe River on 26th October in Kyneton at 1.30. You are invited to be involved as a Citizen Scientist in this project. Please email uclandcare@gmail.com to find out more. Our Landcare Week library display this year has the theme: “simple things can make a big difference to our native plants and animals”. Budding junior landcarer and St Ambrose Primary student, Anna Moloney made these posters to help us spread the word. The display will be available through the school holidays. A huge thanks to Lulu from Woodend Library for being so supportive of our group. St Ambrose student and budding junior landcarer, Anna Moloney. made these excellent posters for Woodland Landcare. The Upper Deep Creek Landcare Network is very pleased that Intrepid Landcare will kick-start in the Macedon Ranges this October with a weekend retreat for passionate young people! Who: the leadership retreat is open to anyone* aged 18 – 35 years, who is up for making a difference and having some fun doing it. *Please note that priority will be given to young people residing in the Macedon Ranges Shire. Are you between 18 and 35 years, have an interest or already involved in environmental conservation and land management activities? Keen to take that interest to the next level? Curious about what is already happening across the Macedon Ranges and surrounding region, and love meeting new people? Then YES. This is for you! Cost: This leadership retreat is free. 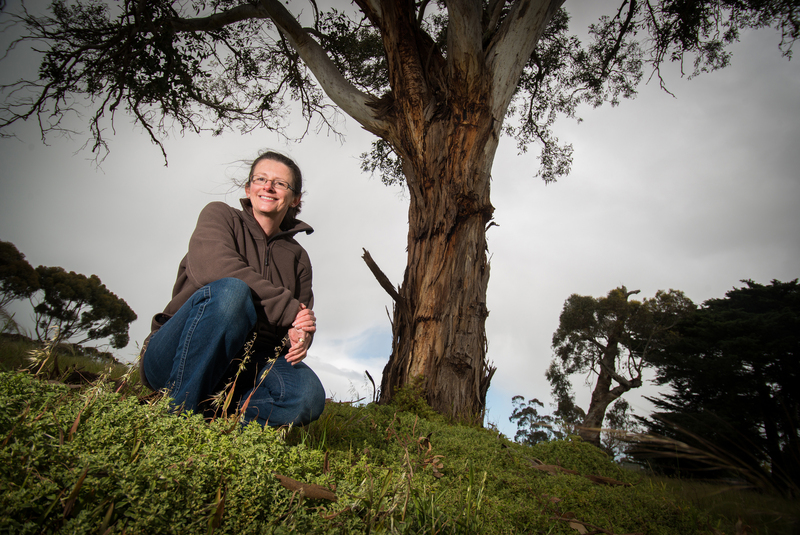 To make the retreat as accessible to as many young people as possible, successful applicants are being generously sponsored by Upper Deep Creek Landcare Network and supported by Macedon Ranges Shire Council. This sponsorship covers all catering, accommodation and a carefully packaged leadership development program tailored to meet the needs of young people passionate about the environment. So we do ask that you take this commitment seriously before applying. More information: on Intrepid Landcare and this retreat please email hello@intrepidlandcare.org or call Megan on 0412 532 817. Note: this retreat is being hosted by Upper Deep Creek Landcare Network and supported by Macedon Ranges Shire Council. Don’t forget to show your support for the protection of Wombat Forest from logging. Click here for more info. Our 2018 calendar has been updated to bring us through to the end of the year. Our next working bee is on Sunday the 26th of August. It will focus on the removal of oak seedlings and a general tidy up on the north side of Five Mile Creek near the East St easement. More details coming soon. 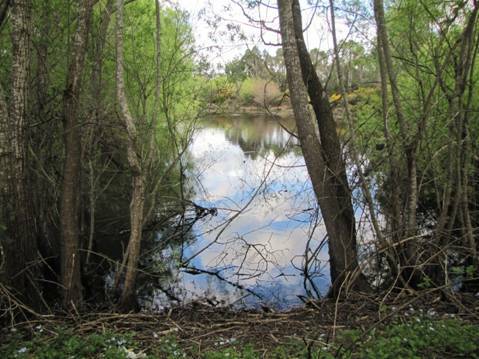 We are pleased to share that we have been successful in obtaining a Victorian Landcare Grant to remove of woody weeds – particularly Willow, Hawthorn and Blackberry – from a very significant stand of remnant Black Gums on Five Mile Creek where it passes through Flint Hill, a private property in Woodend. These weeds are currently threatening the creek environment downstream and restricting regeneration of the Black Gums. We are looking forward to working with the landholders on this project. Our brief AGM held on the 21st of July saw our 2018-2019 Committee elected with two new members. Welcome Liana and welcome back Peter! Kate gave a quick summary of the our actions over the past year, which you can read about in our 2018 Annual Report. Collect population data including historic and herbarium information. Undertake field surveys looking at area, extent, size and change. Identify current and potential habitat and identify threats. It is much easier to protect something before it is damaged.